The following demerit point penalties are assigned to a driver convicted of a speed-related offence. Remember, if you collect enough demerit points, you can lose your driver’s licence. You have 15 days to pay your speeding ticket from the date of the offence. You can simply pay your speeding ticket. Moreover, you can pay your speeding ticket online. But are you absolutely sure about taking that option? Are you aware that paying your speeding ticket means you are pleading guilty to the offence? Once you pay your speeding ticket thereby pleading guilty, the speeding ticket conviction will be on your driving records. Do not forget, if you have a conviction record, your auto insurance will be increased upon renewal. According to the circumstances involved and the information on your traffic ticket, consider all options you have and decide what to do: whether to pay your fine and get a conviction record; to try to lower your fine, pay it and get a conviction record; to fight the speeding ticket by yourself or hire CP Paralegal Services. Weigh the pros and cons of every option. Calculate the cost of fighting the speeding ticket and weigh it against the chances of getting it dismissed or reduced to a lower charge. It is always a good idea to hire CPsolutions because we save your nerves, time & money. At CPsolutions, we have experience and knowledge; we know how to fight your speeding ticket. If you hire CPsolutions to fight your speeding ticket, we will come to the hearing instead of you, and you will not be involved in a stressful process. You will avoid standing in line, finding and paying for parking and gas in order to travel to the provincial offences court just to request a trial date. We will request a trial date for your speeding ticket. You will not have to ask for a day off at work just to request a trial date for your speeding ticket and then to attend the hearing. There will be no need to make a request to change a date of the hearing for your speeding ticket, if you cannot attend it at the date. CPsolutions can. If you have got a speeding ticket while far from home, we can handle your case without you having to travel to the court at that location. 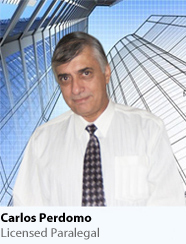 CPsolutions will develop the strategy of your defense. If there is an outstanding error on your speeding ticket, we may be able to build your defense on that. Probably, your defense will be based on exceptional circumstances that lead to the issuing of your speeding ticket. In some cases (for example, an obscured road sign or malfunctioning stoplight), it is reasonable to admit guilt without harming your speeding ticket case. There is a legal requirement that radar guns need to be recalibrated in a certain period of time. In reality, sometimes they are not. We know legal procedures of verifying whether this was done and documented. The police officer who issued you the speeding ticket must show up at the court hearing for your speeding ticket. If the police officer fails to show, your case will be dismissed. Often, the police officers schedule many court hearings on a certain day so that they can appear for all of them at once. If you have a good reason to change a date, there might be a chance that the officer won’t show up. You need to make your request in writing a few days in advance of the scheduled hearing. CP Paralegal Services can help you out with this. We make sure that all evidences are well-organized for your speeding ticket case. Often, we talk to the Prosecutor before the hearing and we are able to come out with a good deal such as: lower a fine or decrease the demerit points or both, pay a fine without incurring the demerit points on your licence. It always takes time and needs knowing the legal procedures to get necessary information (for example, disclosure) to fight your speeding ticket. At CPsolutions, we request this information in advance to develop the best strategy for fighting your speeding ticket. If you want to know how conviction for speeding can affect your insurance, go to No insurance page in the “Traffic Tickets” section of our website or visit our Auto Insurance page in “FAQ” section. 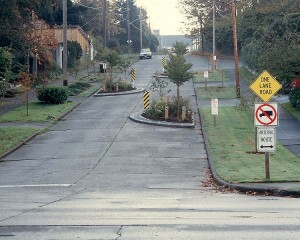 Speed limits are used to regulate the speed of road vehicles. Speed limits may define maximum (which may be variable), minimum or no speed limit and are normally indicated using a traffic sign. Speed limits are commonly set by provincial governments and enforced by police and/or judicial bodies. Speed limit in school zones: The council of a municipality may by by-law designate a portion of a highway under its jurisdiction that adjoins the entrance to or exit from a school and that is within 150m along the highway in either direction and prescribe a speed limit that is lower. Speed limit on bridges: If the council of a municipality by by-law prescribes a lower rate of speed for motor vehicles passing over a bridge on a highway under its jurisdiction, signs indicating the maximum rate of speed shall be posted in a conspicuous place at each approach to the bridge. In Ontario cities, towns, villages and built-up areas where there are no posted speed limit signs, the maximum speed is 50km/h. Elsewhere the maximum speed limit is 80km/h. Speed limits are usually set with an intention to improve road traffic safety and reduce the number of traffic collisions and people’s injuries. According to the data released by the World Health Organization, 1.2 million people were killed and 50 million injured on the roads around the world in 2004. Speed limits may also be set in an attempt to reduce the environmental impact of road traffic (vehicle noise, vibration, emissions), to reduce fuel use and to satisfy local community wishes. 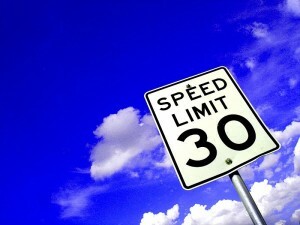 Most public roads have a legally assigned numerical maximum speed limit. Lower speed limits are often shown on a sign at the start of the restricted section although the presence of streetlights may sometimes also be used instead. Signs are normally placed on both sides of the road. The speed limit reminder signs may appear at regular intervals. Posted maximum speeds are normally based on ideal driving conditions. Some roads also have minimum speed limits, where slow speeds can impede traffic flow or be dangerous. On March 31, 2006 rules governing speed limits in designated construction zones and the doubling of speeding fines in a construction zone when there are workers present came into effect. Ontario municipalities have obtained power under the Highway Traffic Act to designate construction zones on roads in their jurisdiction. Municipalities also have the option of reducing speed limits in construction zones without passing a by-law. This legislation improves the safety of both workers and drivers and reduces the risk of collision. The municipal council simply delegates the authority to designate a construction zone, and with that the authority to set the speed limit to a senior staff member who ensures that records are kept detailing when a construction zone speed is changed. The reduced speed limit becomes effective once the required signs are posted. 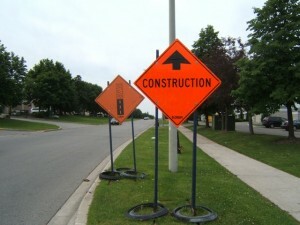 The Highway Traffic Act requires that a construction zone must be clearly marked with standard “CONSTRUCTION ZONE BEGINS” and “CONSTRUCTION ZONE ENDS” signs found in Regulation 615 of the Highway Traffic Act and in the Ontario Traffic Manual Book 7. The reduced speed limit becomes effective once the required signs are posted. Increasing fines is an effective way to discourage drivers from speeding. The legislation doubles the normal Highway Traffic Act fines for motorists exceeding the speed limit in a designated construction zone when there are workers present at the site and the prescribed signs are used. To advise motorists of the doubled speed fines, information signs are recommended but not required under the legislation for the double fines to be in effect. The previous Highway Traffic Act fine for exceeding the speed limit by 20km/h was $4.50 per km/h over the speed limit and 3 demerit points. With the Bill 169 amendment, the fine for exceeding the posted speed limit in a construction zone where workers are present is doubled to $9.00 per km/h (demerit points remain at 3). Also under Bill 169, the Highway Traffic Act fines for traveling 30 to 34km/h over the speed limit have increased from the previous $4.50 per km/h to $7.00 per km/h and 4 demerit points. When this new amount is doubled it increases to $14.00 per km/h over the limit (demerit points remain at 4). Reasonable speed is the basic rule. Drivers are required to drive at a safe speed for conditions. Lower speed may be required due to fog, heavy rain, and pavement conditions such as freezing or gravel, or where they are not able to stop in the line of sight. Motorists shall not drive a vehicle upon a highway at a speed greater than is reasonable and at a speed which endangers the safety of persons or property. Speeding and loss of control are major causes of motorcycle collisions. Speeding in rain, decreased visibility or strong winds could cause you to lose control and crash. Watch for hazardous road conditions, including potholes, loose gravel, railroad tracks or fluid spills. Be especially careful around sharp turns and curves. Motorcyclists can misjudge curves and overshoot the road into the path of oncoming traffic. Speed limit enforcement is the action taken by appropriately empowered authorities to check that road vehicles are complying with the speed limit in force on roads and highways. Many jurisdictions operate traffic violations reciprocity where non-resident drivers are treated like residents when they are stopped for a traffic offense that occurs in another jurisdiction. They also ensure that penalties such as demerit points and the ensuing increase in insurance premiums follow the driver home. Methods used include roadside speed traps set up and operated by the police and automated roadside “speed camera” systems which may incorporate the use of an automatic number plate recognition system. 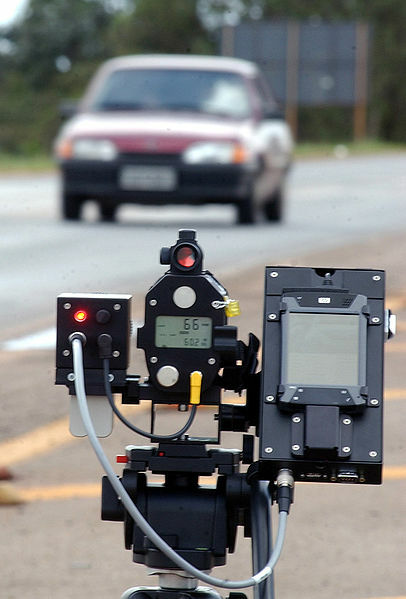 Police use speed guns and automated in-vehicle systems at their disposal. Automatic number plate recognition (ANPR) systems that use a form of optical character recognition to read the vehicle’s licence or registration plate. A computer system reads vehicle registration plates at two or more fixed points along a road, usually hundreds of meters or even kilometers apart, and then uses the known distance between them to calculate a vehicle’s average speed. If the average speed exceeds the speed limit, then a penalty is automatically issued. Radar speed guns use a microwave signal that is directed at a vehicle; the Doppler Effect is used to derive its speed. LIDAR speed guns utilize the time of flight of laser pulses to make a series of time stamped measurements of a vehicle’s distance from the laser; the data is then used to calculate the vehicle’s speed. Sensors embedded in the roadway in pairs, for example electromagnetic induction or Piezo-electric strips a set distance apart. While digital cameras can be used as the primary means of speed detection when combined with automatic number plate recognition (ANPR) average-speed camera systems, their use is more commonly restricted to evidence gathering where speeding offences are detected by various other types of sensors such as Doppler radar, piezo strips, infrared or laser devices. The digital technology has revolutionized speed cameras, particularly their maintenance and the back-office processing required issuing penalty notices. Images from digital cameras can be uploaded in seconds to a remote office over a network link, while optical character recognition software can automate the “reading” of vehicle registration numbers. Some drivers use passive radar or LIDAR detectors to detect police radar or LIDAR signals, with the intention of avoiding or evading prosecution by slowing down before entering an enforcement zone. These devices are illegal in Ontario, although more accurate and frequently-updated GPS-based information is freely available. Drivers may flash their lights to approaching drivers to warn them of a speed trap. It is also illegal. the date on which and time at which the photograph was taken. In the absence of evidence to the contrary, the photograph can be used at trial as proof that the vehicle was, on the date and at the time shown or indicated on the photograph, being driven at the rate of speed shown or indicated on the photograph. No one shall be convicted at trial of an offence on the basis of the photograph unless, the photograph is adduced at trial; or the person consents to the photograph not being adduced at trial. A photograph or a photographic equivalent of the photograph obtained through the use of a photo-radar system shall be served with the offence notice. If 15 days have elapsed after a defendant is served with an offence notice charging the defendant, as the owner of a vehicle, and the defendant has not given notice of intention to appear, pleaded guilty or made a payment out of court, the defendant shall be deemed not to dispute the charge. Obey the maximum speed limit posted on signs along Ontario roads and highways, but always drive at a speed that will let you stop safely. As a general rule, drive at the same speed as traffic around you without going over the speed limit. Lower your speed in bad weather. Lower your speed in heavy traffic. Lower your speed in a construction zone; be extra careful when driving through areas where people are working on or near the road; be prepared to stop. Obey all signs and any workers who are directing traffic through the construction zone. Slow down when driving at night, especially on unlit roads. Follow at a safe distance, at least two seconds behind the vehicle in front of you. If you are charged for speeding at 50km/h over the speed limit, police will suspend your licence and impound your vehicle at the roadside. The first maximum speed limit was the 10mph (16km/h) limit introduced in the United Kingdom in 1861. From 2005 to 2010, the highest posted speed limit was 160km/h (100mph) in Abu Dhabi, although this was reduced to 140km/h in 2011. Some roads have no speed limit for certain classes of vehicles. Best known are Germany’s autobahns where car drivers have no mandated maximum speed. Measurements from the German State of Brandenburg in 2006 show average speeds of 137km/h on 4-lane sections, and 142km/h on 6-lane sections, without mandatory speed limits. Rural areas on the Isle of Man, the Indian states of Andhra Pradesh and Maharashtra also lack speed limits, but speeds are lower when measured on those lower design roads. First, traffic calming was built into the United Kingdom’s 1865 “Locomotive Act”, which set a speed limit of 3.2km/h in towns and 6.4km/h out of town, by requiring a man with a red flag to walk 60yards (55m) ahead of qualifying powered vehicles. The speed limit being effectively redundant as vehicle speeds could not exceed the speed at which a person could walk. By 1895 some drivers of early lightweight steam-powered cars assumed that these would be legally classed as a horseless “carriage” and would therefore be exempt from the need for a preceding pedestrian. In 1905 The Automobile Association was formed to help motorists avoid police speed traps. In 1910, a legal case between Automobile Association patrolman and a potentially speeding motorist and the Chief Justice, Lord Alverston, the judge ruled that where a patrolman signals to a speeding driver to slow down and thereby avoid a speed-trap, that person would have committed the offence of “obstructing an officer in the course of his duty” under the Prevention of Crimes Amendment Act 1885. Gatsometer BV, founded in 1958 by rally driver Maurice Gatsonides, produced the “Gatsometer” which was described as “a revolutionary speed-measuring device”. Developed initially for improving his race times, it was later marketed as police speed enforcement tool. Gatsometer claim to have developed the first radar for use with road traffic in 1971, but this claim is undermined by evidence that radar detectors were already for sale in 1967. Gatsometer BV produced the world’s first mobile speed traffic camera in 1982. VASCAR (Visual Average Speed Computer and Recorder) is a type of device that couples a stopwatch with a simple computer for calculating the speed of a moving vehicle, was in use in North Carolina, New York and Indiana by February 1968.